Is There an Android App to Watch Free Movies? Absolutely, YES! You can even download them if you want to. Anyway, who doesn’t like watching movies, especially when you are getting bored? What joy it would be if you could now watch them for free on your Android phones. In case, you are wondering how to download free movies on android phone, the answer is quite simple. It is now possible to watch movies on android phones using some special apps designed for this purpose. They help you decide, download and enjoy the movies of your choice without any hassle. In this article, we have reviewed some of the best apps for watching movies on android. So sit back grab popcorn and some soda. Start to choose among these movie streaming apps for android and start watching your movies! Below are the list of android app to watch movies free. Available for Free and Some are paid. 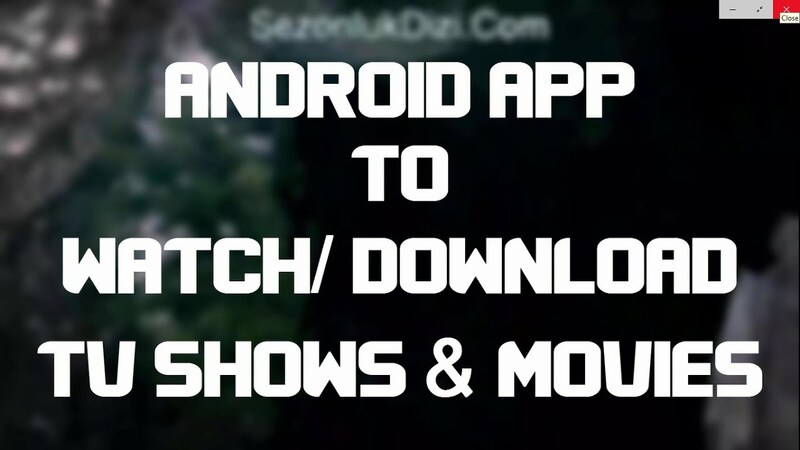 An extremely popular and absolutely free app for watching movies on your android phone, this one provides some wonderful features for its users. Movies and TV shows can be streamed for free through this app. The advantage is you can also download the movies/tv shows that you want to watch later offline. The PC-friendly version is also available. You have to; however, you need to download this app from their official website due to the nature of the app you cannot find this one on Google Play Store. You might need to enable installation from unknown sources. Termed as one of the best apps for watching TV series in android and movies on your android phone, it was earlier named as PlayBox HD. It has many exceptional and quite amazing features including an offline mode, subtitle support, kid’s mode and even Chrome cast support. The company provides a detailed tutorial on how you can download this android app from the company’s website. And just like Showbox this one is not available on Google Play store either. Crackle is yet another free movie and TV show app for android. Unlike ShowBox, this one does not support downloading. However, the wide range of options across different genres more than compensates the lack of downloading feature. All you need to do is go to Google Play store and download this. It is needless to mention that the presence on Google Play Store also further adds to the credibility of this android app to watch free movies. This android app designed for watching free movies has got a rare distinction of getting a 4 out of 5 rating. This is an extremely interesting app filled with many features. It is supported by most major platforms and has an extremely easy navigation feature. Users can choose from a list of over 4000 titles that also feature some rare to find options like Korean dramas and Kung Fu. Not only you can watch movies for free using this app but users also have the option to download them without spending a penny. Now, Watch HD movies app for android is also available who doesn’t love High Definition anyway? The only stopping you is your internet connection though. This is a relatively new android app to download free movies. Though quite similar to the Showbox, there are some unique elements in this one. It is very small in size, just 1.8 MB and therefore uses very little resource on your android phone. The viewers also get to choose the resolution they want to watch the movie. They can either watch on 360p or 720p depending on their individual preference. If you choose to watch free movies on android using this app, the variety of features is sure to bowl you over. Viewers get the option to even choose between movies as well as cartoons and the large collection of both popular entertainment options sure wow the users. The other interesting feature that makes this one of the best apps for watching movies on android is the fact that the interface is extremely user-friendly and quite simply guarantees maximum user satisfaction. In the list of apps designed for watching movies you can also watch animes and even cartoon using their android app, this one stands very tall by its sheer ability to provide quick search and fast results. Yes, for those, who believe in speedy delivery, there is no app like this one. Both movies and TV shows can be found quite easily, and even the language of the film could be filtered based on the user’s exact preference and needs. Additionally, for the decided movie buffs, this app provides biography pages of actors, actresses and you even watch trailers and read news about your favorite celebrity using this app. Another interesting addition to the list of apps that allow you to watch free movies on your android phone, the unique factor is the biggest game charger for this app. Not only does it have a wide range of movies that are otherwise hard to get, this app also enables you to access viral videos, listen to music, stream movies to your TV simultaneously along with your Android phone. Decidedly one of the best apps for watching movies on android, Flipps HD also allows downloading of its collection of movies for free. Yet another android app designed for free movie streaming in android. Users may find the link of the video they want to watch and paste on the app to stream to. Much likely, this is a Video Streaming App. Users can access from anywhere in the world at the simple click of a few buttons. The downloading speed is also considerably fast and allows users to take advantage of their server links. It surely resonates the needs of every movie buff who wants to enjoy the movies of their choice at their convenience with a reasonably low expense involved. The free version has some ads that you can easily remove by paying a small fee. The only reason it is so down the list is that this app is only available for few devices at the moment. This free app for watching movies on android provides a good range of movies and TV shows. However, there are some for which users have to pay a nominal rental fee as well. Overall, these are some of the best apps for watching movies on the android phone. The most interesting aspect is most of these free movie apps for android also provide tutorials on how to download free movies and TV shows, thereby simplifying the entire exercise for you.